Regular use of whole body vibration machines will enhance physical performance. Because vibration training helps recruit upto 80% more muscle fibers than conventional exercises, users will be able notice fitness results significantly faster. Many professional athletes and sports team use WBV before and after games and events, allowing them to warmup and prime their body for optimal game performance. Post game usage can also prevent injuries and to relax the tensed muscles. WBV is an excellent tool to loosen muscles, increase flexibility and range of motion, and intensify training efforts. These can easily be achieved without placing any strain on ligaments or joints. Finally, the vibration machine is a great tool in removing the lactic acid in muscles built up in the muscles after a hard workout. This can help muscles to remain pliable and retain elasticity. Lactic acid buildup is what causes the aches and pains after a vigorous exercise. Osteoporosis affects many people in different age groups. Bones will grow stronger when the muscles around them grow. 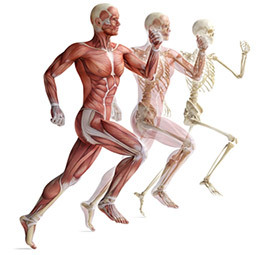 Bone structure responds to exercise as long as the exercise stresses the muscles and forces the bone to bear weight. In particular, growth and maintenance of shaft and trabeculae are controlled by the strains placed on the bones. Trabeculae are the supporting strands of connective tissue that supports the bone. In particular, Whole Body Vibration training can help to counteract Osteopenia and Osteoporosis by putting significant stress on bones and their surrounding muscles and tissues. In addition, one of the key benefits of using vibration machines is that it can stimulate the release of natural hormones. These hormones can in many cases prevent the loss of bone density and in some situations, may even reverse the effects of osteoporosis. These beneficial claims are from the ground breaking study reported in the Journal of Bone and Mineral Research in 2006. Many professional sports teams, physiotherapists and chiropractors use Whole Body Vibration machines as a rehabilitation tool. Vibration training can help strengthen muscles without putting strain on joints and ligaments. Muscle, joint, and nerve pain affects millions of people and their way of life. The vibration increases the blood flow into injured and inflamed areas and causes a dramatic spike in Human Growth Hormone (HGH) which is one of the keys to repairing and regenerating soft tissue. Improved circulation also helps to drain fluid build-up from injured tissue and speeds up healing. Many whole body vibration machines have programs and exercises that help develop your core strength which can improve posture and muscle endurance. A stronger core helps to eliminate the root of many muscle related ailments and can aid in weight management. Strengthening bones and muscle will also help to reduce muscle aches and pain and increase the emulsification of body fat. Increasing blood circulation can be extremely beneficial. With increased blood circulation, your cells receive more oxygen and nourishment and are more active. This increased activeness will give your body significantly more energy and reduces the feeling of fatigue and sluggishness. In addition, the increase of the body’s lymphatic drainage system is a great way to improve overall health and strengthen the immune system. White blood cells help to remove debris from broken down cells and from toxins, viruses, and bacteria that enter the body. When the lymphatic system is properly drained and stimulated, your body can readily transport white blood cells through the lymphatic system to trouble areas. In addition to the multiple therapeutic benefits of whole body vibration machines, there is a luxury component to these machines as well. Overall health and wellness can be significantly improved with massage and relaxation. Each of our whole body vibration machines have a massage component. Increased lymphatic drainage can help detoxify your body. Just relax and let the machine do the work. Your body will receive many benefits from proper massage, relaxation and increased lymphatic drainage. Many people claim to feel more energized after using a whole body vibration machine. A proper exercise regimen can create a natural high for many people. Increased blood circulation can introduce serotonin, the feel good natural hormone, into the blood stream. Increasing the body’s metabolism in conjunction with detoxification is the best method for rapid and sustainable weight loss. Whole Body Vibration is a revolutionary tool for many people looking for efficient and effective results. An increased metabolic rate will help you burn more calories and energy, leading to weight loss. An improvement in the lymphatic drainage system will help rid the body of many toxins that impede rapid weight loss which typically is associated with exercise. Fat that has been emulsified must be delivered somewhere for disposal so it’s very important to help rid the body of such toxins and chemicals through the lymph drainage system.